You must make reservations at least 5 minutes in advance of the time at The Ashby Inn. Parking is private and located just a few steps from the inn. 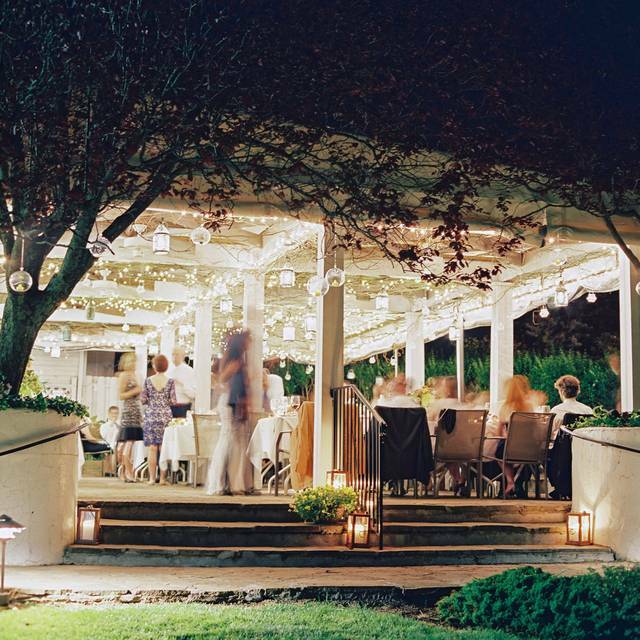 The Inn has gained wide reputation for its weddings and wedding receptions. An ample covered patio, landscaped gardens and spectacular views offer one of the most beautiful settings in Northern Virginia. Our kitchen staff is both talented and imaginative, & will make your private event special. 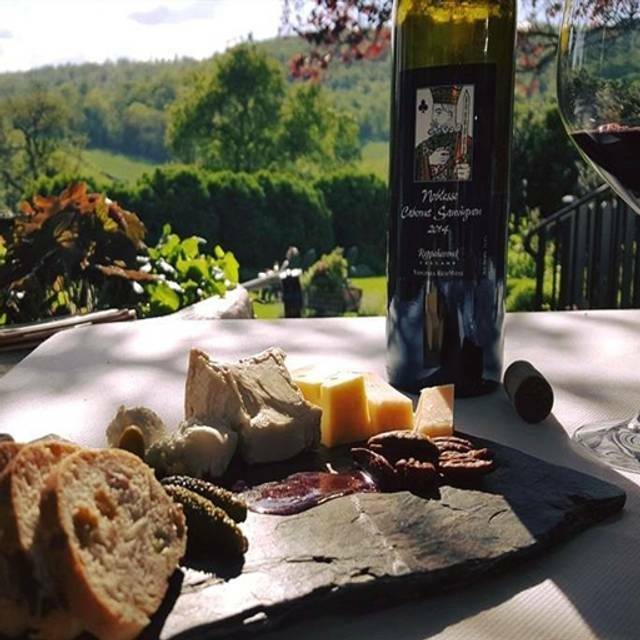 The Ashby Inn & Restaurant is fully committed to supporting the farmers and artisans that live and work in this region. 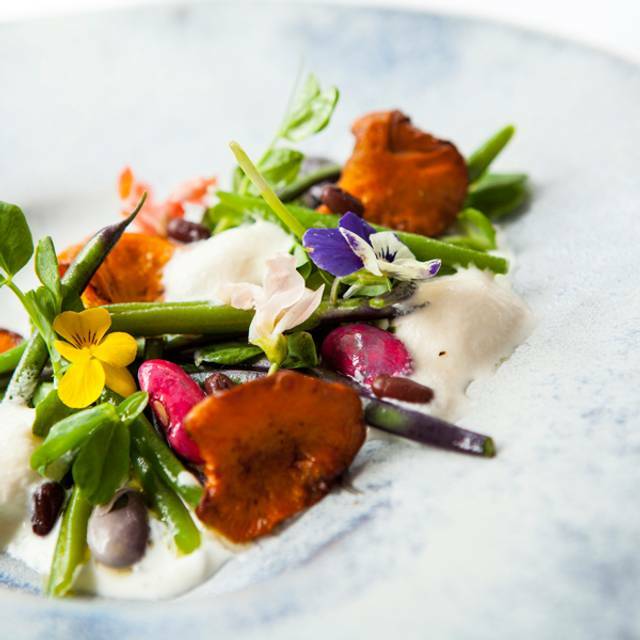 Our menus represent the freshest, seasonal products that can be sourced locally from sustainable operations. The offerings will change daily in concert with what our local farmers and nature provide. 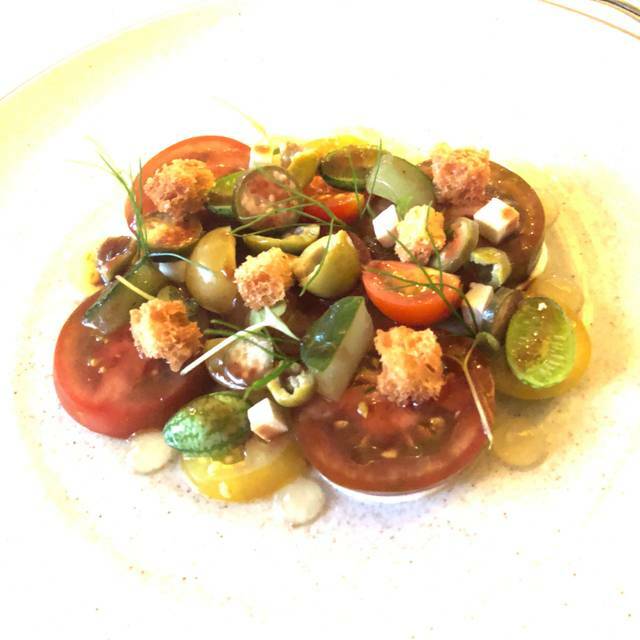 Our pledge to you is to provide a quality dining experience founded on food and drink from sources we know and trust. Sadly a lot has changed. We have been customers for many years. While the food was excellent, there were fewer choices. The prices were outrageous, especially the wines and cocktails. Since we were asked if we were celebrating a birthday, we expected a complimentary sliver of cake or something (as used to be the case). We received nothing. We ordered a glass of wine each. The glass they brought me was still wet and because the wine had already been poured, we couldn't even be sure if it was what we ordered. We never saw the bottle. We miss the previous sommelier! Doesn't look like we will be backbones changes are made. The Inn itself is so quaint! We had breakfast and dinner there and both meals were amazing. The service was wonderful. Our only complaint, if you could even call it that, is that the menu we were given was completely different than what is online. While the food was great, it is very expensive, and the portions are very small. So we were not prepared to spend as much as we did (as the online menu was different). Otherwise, overall great experience. Phenomenal and personal experience from the moment we walked in. Perfect evening made so by the people, food and ambience. I hosted a brunch for 9 Saturday at 11:45 am. We all arrived earlier than expected, so had cocktails in the lovely intimate library. Nine people is just right for that space. The staff was very accommodating when we added one more guest. Our brunch in the adjacent dining room was superb. 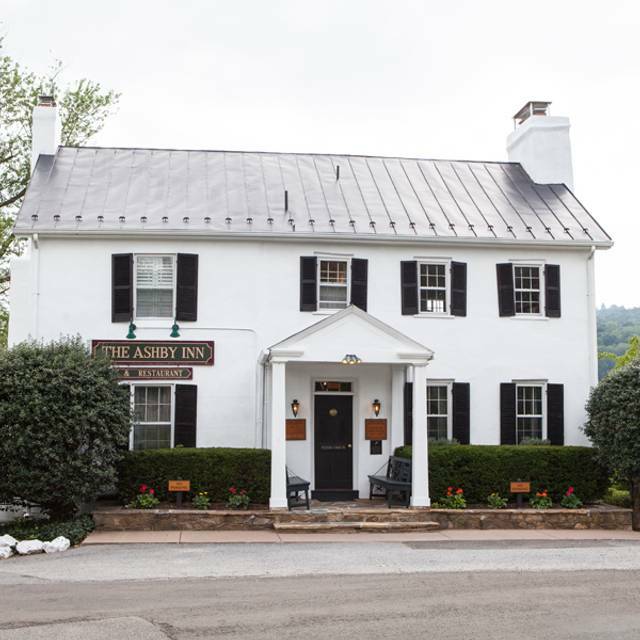 A few of the attendees had never experienced the Ashby Inn or Restaurant and were very glad to know about it. The food was awesome. We started with the bourbon donuts as an appetizer, since everyone was curious. Not a crumb left! Delicious! There are 3 donuts per order, so at $12 an order they are pricey, but worth it for the novelty and yummy factor. They set a precedent for a great meal. Then a grand entrance of many waiters, each carrying an entree, circling the table until each stopped and laid a plate gently in front of each guest, was an elegant and spectacularly dramatic effect that created an audible excitement. And then the actual food!Comments from my guests included: "Best omelette I've ever had in my life!" "Awesome delicious eggs benedict with a perfectly soft cooked egg." "Delicious French toast!" What a wonderful afternoon with friends......The brunch gathering was a success and I was so glad I had chosen the Ashby Inn! A solid choice for couple's night out. Quiet, elegant, and very attentive service. Unfortunately, the food was lackluster (fish was lukewarm at best, and the dessert was too cold and somehow lacking in flavor), but we attribute these issues to the change of season and hope to visit again during the beautiful spring months, when things will definitely be picking up. We did not realize that the restaurant was in transition to a new chef. We had driven from Arlington to go because we enjoyed the creative prix fix menu. This time the menu had limited selection. The Caesar salad did not have enough dressing on it. As I told our waiter, the food was ok but no one would drive the 1.5 hours from DC to go to the restaurant if this is the offering going forward. Always a wonderful experience. I do wish they kept their old Sommelier though. He always maintained a wonderful VA collection. The current one seemed really focused on California which was a little boring. Also when recommending a wine don’t just pick the most expensive one on the menu as “your favorite “. However our server was wonderful and the food as always was interesting and delicious. Thanks!!! A big change for the Ashby that no longer has their beautiful tasting menus and pairings. The food was well prepared, although mains were on the tepid side temp wise. Service by Caroline was excellent, once we were seated at a nice table. Wine list included 2 food items, and they did not have the wine we requested, but the Sommelier upgraded us to another bottle, which was listed as a Merlot, but was a blend - however excellent. So it felt like a soft opening of a restaurant. A lovely place for a special occasion dinner. The drive to the restaurant is a great appetizer. It's in a beautiful, quiet location, and the service was impeccable. The food was very good, but not quite as good as the price would suggest. Fine dining experience on-par with the best in the area. Didn't stay overnight but this is a treat as well! Found out they are switching from Fine-Dining to more of a Rustic place. They also got rid of all their wines and are focusing more on mix drinks. The menu was more of a surf and turf. We have been dining here for a while for special occasions, we dont go out much so the Ashby always felt like we were somewhere special. This time, the menu didn't feel special and nor did the wines. The prices though were fairly high still for what was on the menu. All that being said, the service was great and the food was good. It just didn't feel special. It might be telling, we were there on a Friday night and there were only 2 other tables occupied. The room we were in was very pleasant. Lots of light and subdued noise. The food was very good. The service was above and beyond. A wonderful venue in which to celebrate a very special occasion. It has a nice charming atmosphere, but there is nothing special about the food for the prices they charge. The service was fantastic and you'll definitely have a nice night out, but whether you'll find it worth the high price... I had the sweet potato gnocchi and they were hard, not light and fluffy like it should be. My husband had the steak and there was nothing outstanding about it. Wow! This place was excellent, especially for a wedding anniversary! Thanks so much for an unforgettable meal and experience! Great experience. Great food. Amazing. Our server, Caroline, was friendly and knowledgeable. The menu options were creative, unique and delicious. We are considering visiting in spring or summer to experience the pairing menu. It would be nice if there was more variety. Overall it was a delightful evening perfect for a special occasion. We have dined at The Ashby Inn several times and celebrated our wedding there too This Valentine!s Day “special” dinner was not up to expectations or past experiences. The service was good and the ambiance too. Unfortunately, the 5 course meal was not up to par or equal to its price. The courses were mundane, not inventive, and some courses were not tasty. In particular, the desssert red velvet sheet cake was overly dry and the main courses (shredded pork orbeef) were not visually appealing and both tasted like something more often found prepared ahead of time for a large banquet. 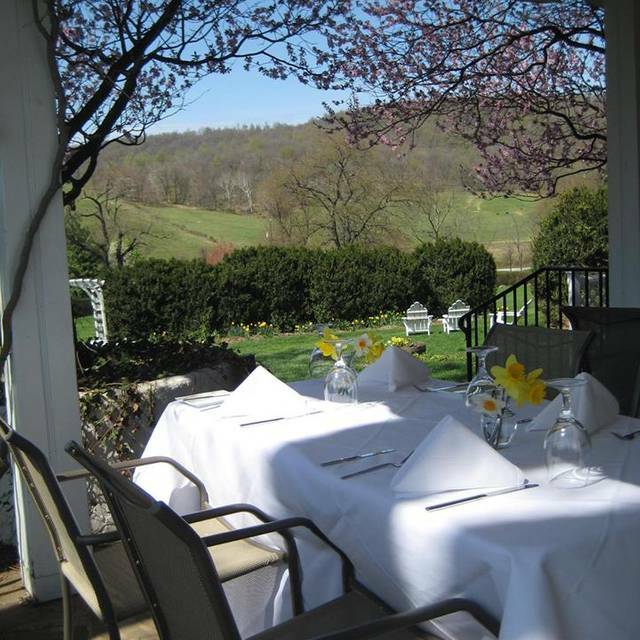 There are a lot of choices for a date night and hopefully The Ashby Inn will step up its game! Our dinner was fine but not stellar, given the occasion and the fixed price meal that controlled what we could order. Let's just say that the difference between a good chef and an outstanding one is in the flavoring of the dishes. This one could use some schooling on creating nuanced flavors whether in the salad, the main entree, or the dessert. The dessert was the best of the three I'll mention here. I like shredded or pulled meats, but they require special seasonings and an interesting use of herbs and spices or fruits to elevate the meats. This chef doesn't quite know how to do this, as was evident that night. But, the servers were attentive, friendly, and accommodating. My spouse is in a wheel chair. They helped us getting in and upon leaving because the steps are uneven and narrow doors are not ADA-friendly. But, we'll go back some time. Special evening and Ashby Inn provided a special meal and complete ambiance for us. Thank you. Great food. Beautiful location. Quaint little restaurant. Very intimate. Lovely evening and Misty was an excellent waitress! 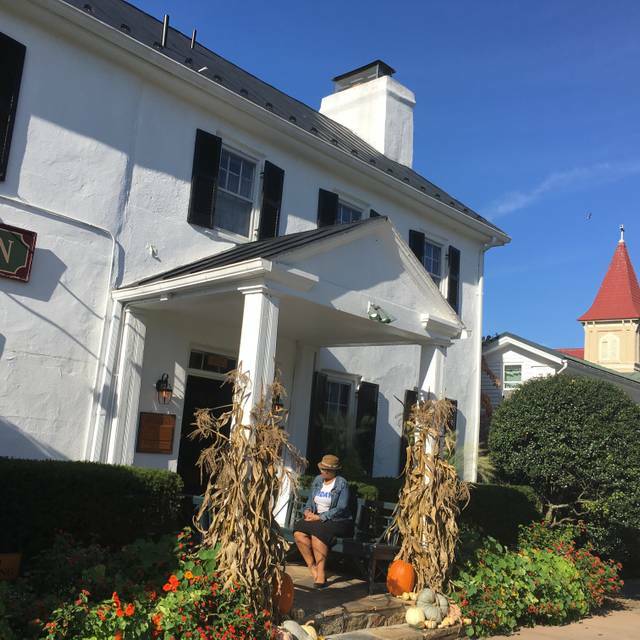 We had been to the Ashby Inn a number of times in the past two years and were very impressed with the wide range of fixed price menu choices, the sommelier and the little "extras" that were included between courses. All this made for an almost magical dining experience - certainly a cut above the normal. We were unaware that there had been a change in chef again recently. And while the food was certainly OK, it was not nearly as interesting as the previous chef and there were none of the extras that made the experience more unique. The price of dining before the recent chef change was about the same, but this time we didn't feel that the food choices and presentations were enough to warrant the expense. We expect something a little extra for establishments in this price range (which we got with the previous chef and staff) and were, frankly, disappointed in the direction that the restaurant has taken. Fabulous food, wonderful service! I had quail for the first time, and I loved it! The beef was cooked to perfection! We can tell that chef Bradley sources only the best quality meats and vegetables. The Bread pudding was a scrumptious end to a delicious meal! It was my wife’s 54th Birthday. Wonderful meal and the staff couldn’t have been kinder or more helpful. Enjoyed everything about our dinner and evening. The service was warm, nice, friendly and knowledgable. The food was excellent. The ambiance was superb. Wonderful place to dine especially if you like historic places. Set in a tiny little historic town at a high point with views. We went at night in heavy rain, so no great views when we went, but we've gone for lunch which is during the day and you can see things. Lunch is a better value, too. Dinner is super expensive. My companions loved their dinner picks, but I got the quail which turned out to be some tiny slices of meat (sauce was really tasty, though) and some inedible greens. Wish I had got the lamb instead. Service is wonderful and the setting is intimate and quiet. We stayed almost 3 hours with our friends. The Ashby offered a wonderful experience for dinner. Location is beautiful, service was professional and efficient, and the food is off the chart. The menu offered a good selection and everything ordered at our table was delicious, with added points for presentation! Imagine our surprise when we arrived & only knew one staff member! Where was our favorite sommelier, Stuart Brennan? Where were all the friendly waitresses? Luckily, our familiar waiter, Rory, survived the cut. Even the chef was new. He did stop by the table to chat (and we liked his food). No more 3 course menu. Ala carte & an increase on my mini Hillinger brut rose. Their warm bread was replaced by crumbly corn bread (only suitable as an accompaniment for a bowl of chili). Rory brought us a replacement of bread w/ olive oil to dip. I liked the beet salad but first you eat with your eyes. Flip the beet slices over to show the vivid red. 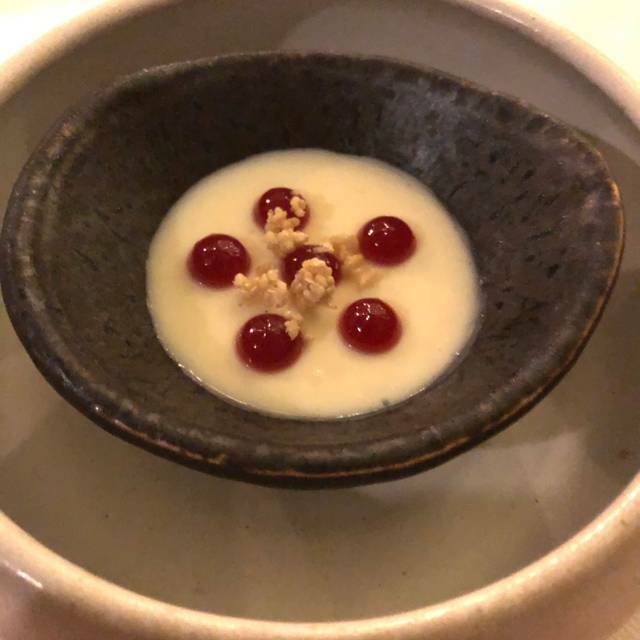 Barry's tomato bisque presentation was nice but he did not like the 3 whole cherry tomatoes in the bowl. My crab cake was beautiful & I enjoyed the taste. I did request lump crab meat instead of shredded when we saw the new chef. Barry LOVED his poached prawns with grits! Chef also surprised him with a chocolate Tortepolla w/ raspberry cream. Only on the dinner menu. My donuts were soft (I wish they could have been deep fried for a crispy texture). The ice cream was drizzled with bourbon caramel (I never tasted any bourbon). We planned to have cappuccinos but the machine was broken. I settled for a French Press (good!) So sad to see these changes. Hopefully, we'll adjust & feel like family once again. Initial service was slow but improved. Took a long time to have wine served. Excellent location to celebrate our anniversary. Very quiet to easily converse. Top notch food and beverage pairing. You will not go home hungry. Nice setting, beautiful ambiance. Food is generally good. Some of the appetizers are very small. The prices are high. 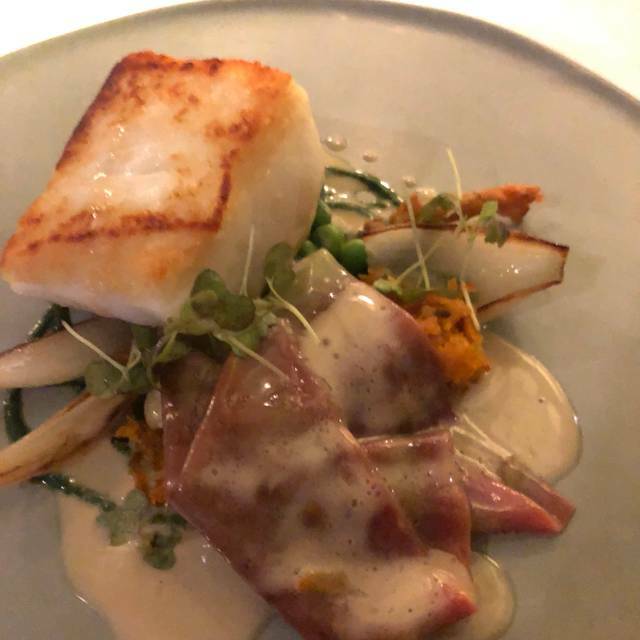 Would recommend the Inn to a friend looking for something different for a special occasion, but not for someone looking for a a great meal at a reasonable price. Overall, quite wonderful and look forward to return visits. Staff exceptional in attitude and attentiveness; food all excellent, though uneven portions: healthy pork chop with lovely potato and kale side...mingy serving of monk fish -- delicious, but on uninspired bed of beans. Nice open gift of 1 deviled egg each; lovely gratis corn bread; delicious tiramisu. Wonderful cappuccino (sd be at $6). If the pork is shipped in from Germany, wouldn't it be possible to bring in salad material from somewhere? Only real demerit would be cool 2-party seating adjacent to an exterior wall. The food was excellent . When we first sat down a staff member asked about drinks, but only gave us one cup of coffee, we had to get up and serve ourselves if we wanted more. This is a beautiful place. This was our second visit.